If you’re a health and fitness enthusiast, you probably already know how important nutrition is to your daily functioning and athletic performance. A balanced nutrition plan will look different for everyone based on preference, lifestyle, and any special dietary needs. One-size-fits-all recommendations are usually pretty unhelpful. That being said, there are some great foods I’d like to recommend for everyday eating that are easy to find and prepare, affordable, and highly beneficial to the body. 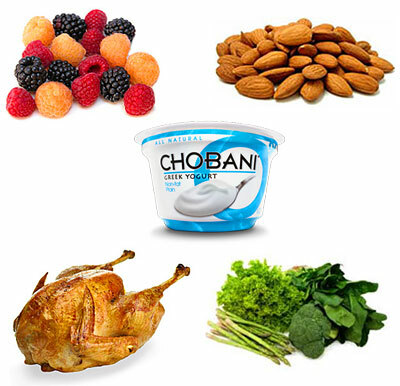 Read on to discover five of my favorite foods for health and fitness! The saying should be “a cup of berries a day” instead of “an apple a day” (although you’ll do well to keeping eating that apple a day too). The benefits of berries are wonderful! Berries offer delicious flavor, fiber, vitamins, nutrients, antioxidants, and more…all while being some of the lowest-sugar fruits out there. Raspberries only have 5g of sugar in a one-cup serving, making them an excellent low-sugar choice for satisfying a sweet tooth. 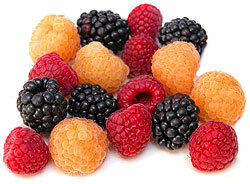 Raspberries also pack a whopping 8g of fiber. Since it’s recommended that women get 25g of fiber daily and men get 38g, a cup of raspberries makes a significant contribution. Other good berry choices include blackberries, cranberries, and blueberries. Freeze locally-obtained berries when they’re in season so you can enjoy them throughout the rest of the year. Leafy green vegetables are nutritional powerhouses. 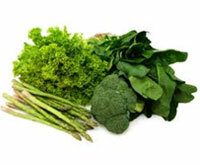 Different types of greens offer myriad benefits; all contain vitamins, minerals, phytonutrients, and fiber. Some are rich in significant amounts of calcium, beta carotene, and even vitamin C. You can eat as many greens as you want all day long and they will only add to your health. Naming the best green for health and fitness is tough. Eat a variety of greens every day and you’ll be good to go. Prioritize kale, arugula, chard, romaine, and spinach. You can even add greens to a fruit smoothie to sneak extra servings of greens into your diet. Not all yogurt is created equal. Greek yogurt offers a great deal more protein than other types of yogurt, as well as being creamy, delicious, and loaded with calcium. Many types of Greek yogurt offer between 20-25g of protein per one-cup serving, while regular yogurt usually has only 8-14g. 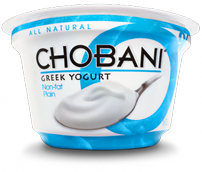 Greek yogurt is a great recovery food to consume after a workout. Just watch the sugar content; some brands have a lot more sugar than others. It’s best to eat it plain if you can handle the tartness! I recommend the low-fat or non-fat versions, unless you eat a primal diet, in which case you’ll want the full-fat version to help keep up your energy levels. Although it’s not widely known, many lactose-intolerant people CAN eat yogurt. 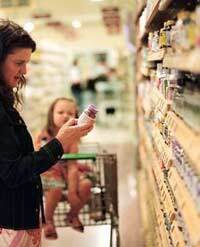 The active cultures in yogurt help break down the lactose for you, almost like you’ve taken a Lactaid pill. If you’re lactose intolerant, you may want to experiment with yogurt and see if you can tolerate it so you can access the health and fitness benefits. 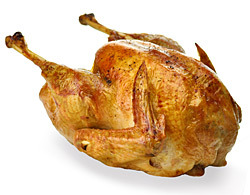 Turkey is an excellent source of lean protein, offering a welcome flavorful change from chicken every day. Turkey is also rich in iron, potassium, and B vitamins. Get creative and use ground turkey to make burgers, tacos, turkey “gyros”, and more. Make turkey noodle soup instead of chicken noodle! Choose organic, local, hormone-free turkey when possible. Check at your farmers’ market for local turkey farms. 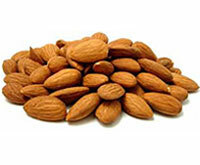 Almonds are a savory, tasty, high-protein, high-fiber food. Although almonds are high in fat, it’s mostly monounsaturated fat, the same kind of “good fat” that’s in olive oil. This kind of fat may help reduce your risk of cardiovascular disease. Almonds are also a satisfying snack that can help with weight management. Don’t go too crazy with the almonds, or you may wind up adding excess calories to your diet. Eat a small handful as a snack or toss them onto your green salad or your Greek yogurt. Or spread some raw, unsalted almond butter onto apple slices for a sweet and savory snack. Combine three of these five excellent everyday foods into one easy meal or snack: a green protein smoothie! Put berries, plain Greek yogurt, and a bunch of greens into the blender with some water and ice. Add an apple or half a banana for extra fruit flavor. Blend to your desired consistency. You’ve just made a high-fiber, high-protein smoothie that works great as a recovery food after working out, a mid-day snack, or even a meal replacement! 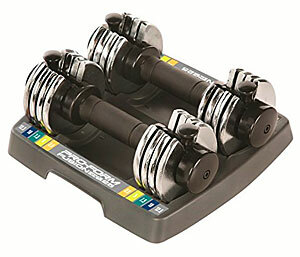 Enjoy your nutritional journey to optimal health, fitness, and wellness. These five everyday foods can and should become staples of your balanced, nutritious diet, but don’t stop here! Continue educating yourself about nutrition and experimenting to discover which foods work best to support your unique system and lifestyle.